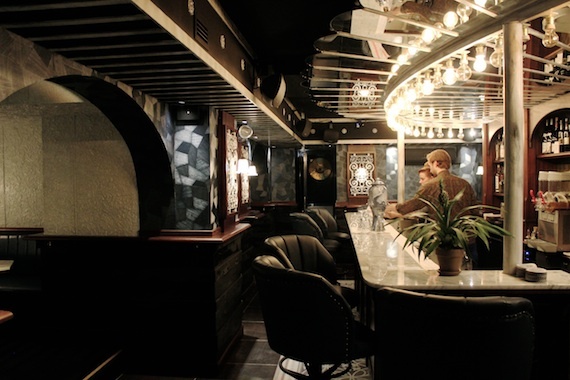 Hamish Smith picks out the most important bar openings of the month. Though you can still smell the green leather seats and the newly lain chequer board floor, Bar Termini feels like its been serving Soho for years. King of concepts, Tony Conigliaro, has pulled another from his bulging sleeve of ideas. Inspired by railway bars in Italy, Bar Termini is a small 30-cover space offering coffee and aperitivos, opening at 7.30am and closing late. His partner Marco Arrigo – a coffee expert – has chosen six bean blends for the bar and Conigliaro’s drinks menu celebrates the Italian aperitivo, with proseccos, four house Negronis – at a reasonable £6.50 each – and seasonal house cocktails. JJ Goodman and James Hopkins opened their fifth site in five years last month. 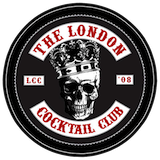 The prolific duo’s London Cocktail Club Shoreditch takes a swerve into new waters with a biker and rocker theme across its two floors. Think industrial staircase black leather, studs, green velvet and massive murals and then remember this is a LCC bar so it’s not that scary. Essentially it’s fun bar meets Hell’s Angel – a drunk, cheery Hell’s Angel. Goodman and Hopkins’ inimitable brand of revelry over pretention is raking in the punters and continues to spread the gospel that cocktails can be serious and fun. Tiki zealot Beachbum Berry has launched Latitude 29 in New Orleans. The menu showcases the many ‘lost cocktails’ unearthed by Berry over the past 20 years. Among the treasure trove is Nui Nui, a rum punch by Don The Beachcomber in 1937 – the recipe of which was discovered by Berry. Executive chef Chris Shortall complements the libations with playful tiki cuisine that starts with salads and ends in large hunks of meat. Latitude 29 is the new must-stop on the tiki world tour.